It wasn’t long, though, until I could see it as a blessing. That coin, which was pretty much useless to me in monetary terms, could have all kinds of potential. For a start, I could have shown it to my 5 year old son and we could have learned about money in different countries, how much it was worth, where it was from and so on. We would probably have ended up getting an atlas out too. (We haven’t done that, as we went to the allotment instead, maybe another day!) Perhaps seeing that coin could spark a passion-for learning about other countries, for collecting coins, for maths! As well as using it with my children, it could be a learning aid for my teaching role, prompting the same kinds of discussions as I could have with my own son. It could even be used for a maths lesson on money, and for older children the introduction to a lesson on converting € to £ and vice versa. The possibilities are almost endless! All of these ponderings were had whilst I did the chores and my brain was free to explore. So many ideas born from something that was ‘bad’, unplanned, unexpected. The point of this post, though, isn’t to discuss the merits (or otherwise) of owning a Euro in a country where that is not the currency. It is to make me, and you, thing about how we deal with unexpected life events. I know finding the ‘wrong’ coin is hardly life altering or devastating, but I could easily have ‘had a monk on’ all day or gone home in a huff. There are a few sayings that spring to mind here. I’m trying to see the positive in every situation life throws at me, as little curveballs seem to keep launching themselves in my direction and I’d be permanently grumpy if I stropped every time I didn’t get my own way! Do you know any more sayings? How do you deal with unexpected events? What else can I do with my Euro? Great post Karen! In the latter part of my 40 year teaching career we did lots of social skilling with the students…actual programs to teach children how to behave in various situations ( including using manners! 😮) But the big thing was teaching ‘resilience’…how to handle disappointment, anger etc. sign of the times?? 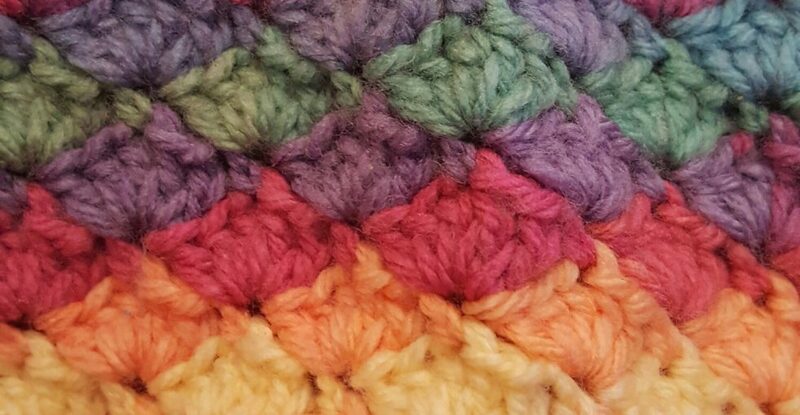 PS Love the crocheted blanket you are making!!! You could send it to me! Then again, you’d have to spend some to send it. I would spend it quite wisely at the Chinese bazaar, though. I’m very sensible with my Euro coins. Haha, excellent suggestion, I’m not sure it’d go very far though! Mrs. Craft, our grown children still pull out our foreign coin jar to look through the coins we saved from various business trips and living in Germany (with lots of Central European side trips). They would make a great Math lesson. Sorry, no gem of wisdom to add to your list today. Thank you, I totally agree! I also feel the same about cars and completely dread my children being able to drive, but that’s a different matter. When I was studying in Germany with my brother, towards the end of the month that 1 Euro meant a lot. It meant our lunch or our dinner. I learned a lot from the 1 Euro and the cents. Sometimes I’d spend 10 euros on a bite, while other times I’d spend 1 Euro on two dinners! I had a habit too, I would flip the Euro and see what country it was from. If it wasn’t Germany, I would smile and think of visiting that place. 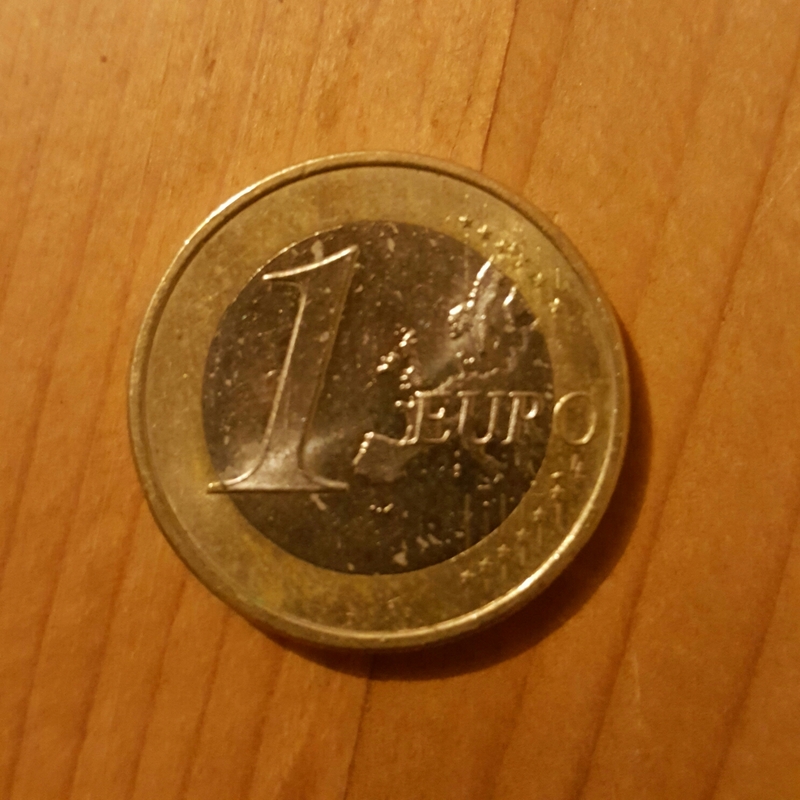 I’d even google and plan a little imaginary trip that I knew wasn’t going to happen then just to get me through 🙂 I don’t live in Europe anymore but now that I’ve visited almost all the countries in Europe on my list, I look back and I’m grateful for that 1 Euro coin. Great post. Took me back a few good years. I love keeping coins that are different. I’ve got alot of dimes and weird ones, I treasure my Egyptian money from my holiday. It’s very random how we get them though! It is isn’t it! I’ve kept one of each coin from my trip to The Gambia to remind me of my time there. what a lovely post, it’s so important to try and stay positive in life, especially when it keeps throwing you curveballs! Thank you, it certainly is important, otherwise it could be a miserable existence! If you can’t change the situation , change your reaction! Good post and you could also talk about dishonesty of the person who gave the euro and not a £, or maybe they made a mistake? Love how you looked for the potential in the given situation, very accepting and positive. Life doesn’t always go to plan but we are always in control of our responses. and if we feel our snap reaction to an event was incorrect then humbly admitting our fault can make even ‘bad’ responses a learning opportunity and shows others that we are not perfect and we will admit our faults. To admit our faults can be beneficial to not only ourselves but those we may have wronged. I love your very thoughtful post. Oh yes, I need to work on the letting off steam part! I’d hold on to it. In a few years time it might be worth a fortune! !